Tempting people to think they can beat the house. A few can, but most cannot do this and will lose big time. His eyes are brown, and not from natural color. Why?? Card counting does give the player an advantage...but its a small one. So, to make "millions" in profits?? I don't think so. I'll wager his book, and that of the MIT team, is more fiction than fact. It's well known that the casinos consider card counting to be cheating; you were breaking faith with the contract (signed or not) between the provider of the gambling services and the customers. So irrespective of any other aspect, you were being deceitful, and, by that definition, not behaving in a Christian manner. And all State lotteries describe giving you your $1 stake back for three correct numbers out of 5 as a "win"
This story is not about cards. It's about judgement. There are those people who claim some direct knowledge of God's will. Apparently God wants them to pass judgement on others but allows them to "pick and choose" their particular sins. These are not religious people. Again I will say the world will be a better place without all religion since most wars and mass killings of people have been done in the name of religion. By the way I find it funny that people that say they are Christians do not believe in heath care for all or programs to help all people.I they really believed in what they preach all money would be shared by all and all would have housing.Come on stop with the fairy tale about Jesus and God already no one even follows what the bible the the Romans made up says. I admit a touch of frustration in reading your justification. While the casinos seek to enrich themselves, and for the most part the advantage is widely theirs because most players treat Blackjack as a game of chance rather than a predictable art, I fail to see how your taking advantage of and growing rich by this system, is a legitimate means of making a living. Like the vast majority, I work for a living. I provide a service, I help my teammates, I strive to be productive and useful. There is a legitimate point to make that, because the casinos make money hand-over-fist, it is ok to beat their system, but to live this way? I would feel a stickiness about myself. The casinos should feel sticky, too, but I feel a particular discomfort in seeing this perspective justified through the lens of religion. Morally, is it wrong? I don't know, that's a gray area to be sure. Personally, I feel there is a tinge of dishonesty in it. Even if I had the skill and patience to learn to count cards, I think I would still feel more comfortable earning my way by providing an actual service than taking advantage of a flawed game. You've clearly made your choice and feel justified in doing so. I think it's unfortunate you would be rewarded with so much publicity for it. "Blackjack is a beatable game. With card counting, perfect decision-making and plenty of capital, you can gain and cash in on an advantage against the house." And THAT is what Jesus would have against it–that you're taking advantage of someone else, even against that anonymous "house." quote chapter and verse or i dont believe Jesus said that. What's good for the goose...I say. Casino owners portray their business as :gaming"; folks come to Vegas to "play". Well, since those venturing into Vegas following this philosophy; not intending to "gamble"; not intending to allow fate or chance determine their wins and losses then, I say, let the GAMES begin. I would not condone the use of electronic devices such as ear pieces allowing confederates to communicate card information to a player at the table but I certainly agree that through the use of their God-given talents of observation...yes, counting cards...then, why not? Unfair, you say? Cheating you say? That's in the eye of those holding the cards. It is a moral and ethical decision made by the card player not an activity whereby said card player has contractually agreed to not engage in such a practice. the con artist called jesus used the threat of not having a afterlife so well that the scam has survived over 2,000 years! give me your money or you will go to hell when you die!!! Only the pimp priests who use Jesus' for personal gain name say that. Card counting is cheating. Jesus would not approve. These so-called "Christians" are like so many "Christians" today: using their supposed faith to justify all their bad behavior. History is littered with the destruction left in the wake of these jerks. Roulette is just a slightly modified collection plate. Counting cards is NOT cheating. You're just playing the cards according to what is thrown in front of you. Kinda like real life. More Christian bashing by CNN. It seems like a weekly occurrence where CNN headlines stories with praise and glory for Islam while trying to find every story they can that bashes Christianity or puts it in a bad light. Screw CNN and Liberal media. But it's perfectly fine to manipulate under the guise of religion? Doesn't matter the form of media this article was brought to light with. The story is still the same: Stupid Christians use bible to justify making money through manipulation. Way to go jackwad! why aren't you so critical of Islam and it's barbaric teachings and treatment of women. I'm fine with anyone not agreeing with a particular religion, but to bash Christianity while glorifying or giving a pass to Islam is reckless and biased! You have got to be kidding. You are defending "Jesus would be ok with card counting" as bashing Christianity? You have made outsmarting casinos a religious issue to rationalize gambling? No wonder intelligent people don't take fundamental Christians seriously. What a bunch of scheming hypocrites. The nerve of you to defend this by resorting to name calling of those on a different political side than you. Wrong is wrong, buddy, and you should be ashamed of yourself to manipulate your religion. Islam? The article is not about Islam, good, bad or indifferent. Quit dodging the issue. It's about justifying your bull *hi* with your religion. Why? You want to count cards, rob banks, whatever, go ahead, but why would you bring in Jesus? To pretend your not dishonest? I'm not even Christian and I'm embarrassed for (and laughing at) you. ps-I'm not Muslim, either. Funny how all these followers of Jesus are not in favor of health care for all,they are "pro-life"but if the kids can't afford insurance I suppose they should just suffer and die.Christians in name only.All I hear from some is how we are headed down the path of that dirty word "socialism".Jesus was a socialist in case no-one noticed.How about living by his word instead of making up what it is to be religious. wow, your ignorance is bliss! It's evident you are not a Christian and have never really read the bible. You're just one of these minion Liberals that spews what you've read on a Liberal blog site. Enjoy your tract to Marxism and Socialism. What's religion got to do with anything? And this is news? Must be a slow day. Card count all you want, better odds as the house always takes priority. Leave religion out of things for once. You obviously didn't read the article. 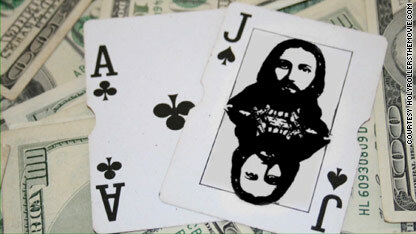 Jesus would be awesome at blackjack . 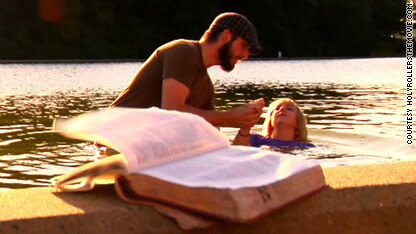 If he can walk on water, turn water into wine, cast out demons, and raise the dead, surely he could get 21 every hand. if "JESUS" were here he'd slap the crap out of most of you on this forum......but since he isn't and wont be is further proof that he is A MYTH. Yeah, seriously. To each his/her own but it's amazing how people can believe in things derived from hundreds of years ago when everyone was drunk telling stories. Over time, I'm sure these stories were changed so much and since no one knew what happens after death, the stories/religion began. The thought of death makes me sick to my stomach, but this religion stuff....well, just think how better the world would be if there wasn't any in the first place. Only the guilty need to defend themselves. He wasn't, ever. stickyd: it's not about how true you think the Bible is or asking people to agree with how spot on it is. What people are saying to you is that the more you bring in Christianity to defend screwing casinos, the less people believe what you base your twisted logic on. Bringing Jesus into a card counting discussion is kinda rediculous. Card counting is legal, and it is in fact the smart thing to do if your going to play Black Jack. Card games are games of percentages...so why wouldn't you want to know the percentages when playing? I would rather play Jesus at Texas Holdem. I bet he bluffs all the time.